Faraday Future is ringing in 2019 with some much-needed good news. The beleaguered electric car maker that turned heads at the 2017 Consumer Electronics Show announced that it had reached an agreement with investor Evergrande Health to let bygones be bygones, effectively ending a legal battle between the two sides stemming from Faraday’s accusations that Evergrande was withholding payments to the electric car maker in an attempt to gain control of their intellectual property. 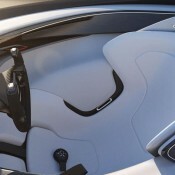 The agreement, which Faraday posted on its Twitter account, will “terminate the previous investment contract, withdraw and waive all litigation and arbitration proceedings, and release all security including the asset preservation pledge and equity financing rights.” As it is, Faraday Future is now free to pursue new financing as it desperately tries to remain afloat in the industry. Faraday Future is being ripped apart piece by piece as it dies a slow, agonizing death. After running short on funds in October this year, Faraday’s downfall began as it announced a number of layoffs and financial setbacks. After living under the rock for a month, when it was assumed that Faraday may come back with some sort of positivity, the company decided to play the blame-game and lay-off more employees. Nick Sampson, one of the three co-founders of Faraday Future, has quit the company. Sampson’s departure comes a day after Peter Savagian, the company’s senior vice president of technology and product development, made his own beeline for the exits. If these departures aren’t bad enough, Faraday CEO Jia Yueting announced the anyone who started working for the company after May 1 would be placed on unpaid furlough. According to a report from CNBC, the furloughs begin in November, becoming the latest in a series of layoffs and salary cuts that have happened in recent months. 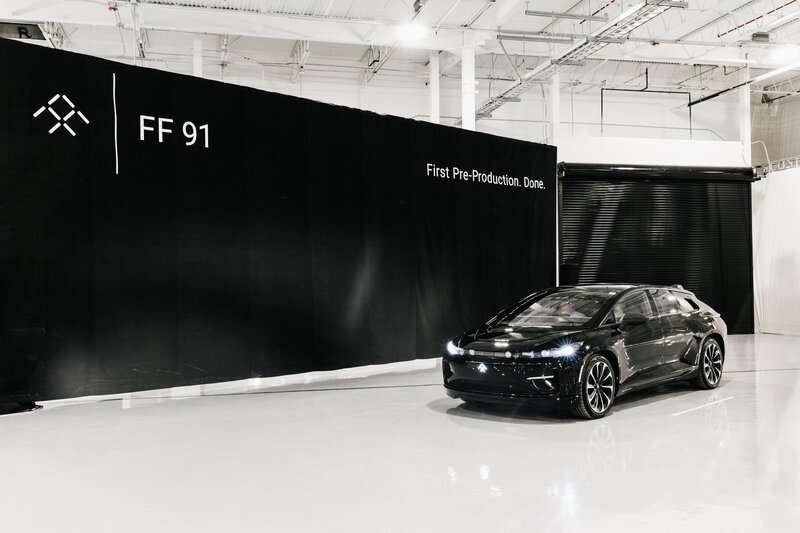 After a rough couple of years, Faraday Future appears to have finally completed its first pre-production FF91. Thanks to the recent cash inflow, Faraday has made some progress with the electric vehicle. The car has been assembled at the company’s factory in Hanford, California. 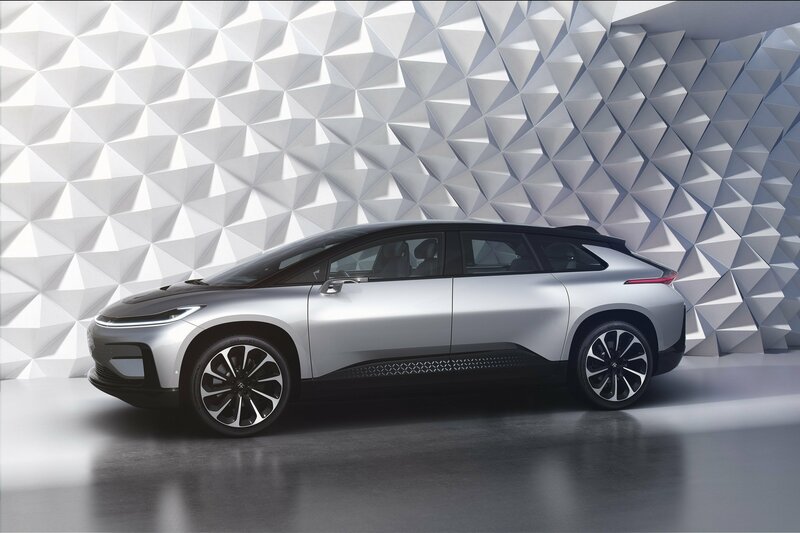 Faraday plans to start delivering production models of the FF91 in the first half of 2019. The company celebrated the milestone by sharing a picture of the build, where we also get a slight sneak-peak of the factory. Faraday Future took a bold step last week when it reportedly gave a preview of its second model, called the FF81. The reveal occurred at a supplier’s meeting the company hosted in its California headquarters. 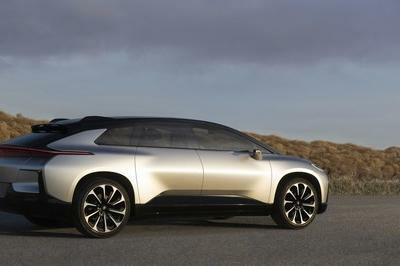 Not much is known about the car, but it is expected to be a smaller SUV compared to the FF91. The concept is being lined up to make its debut this year, and signs point to it taking place at the 2018 Beijing Motor Show in China this April. You have to give credit where it’s due. 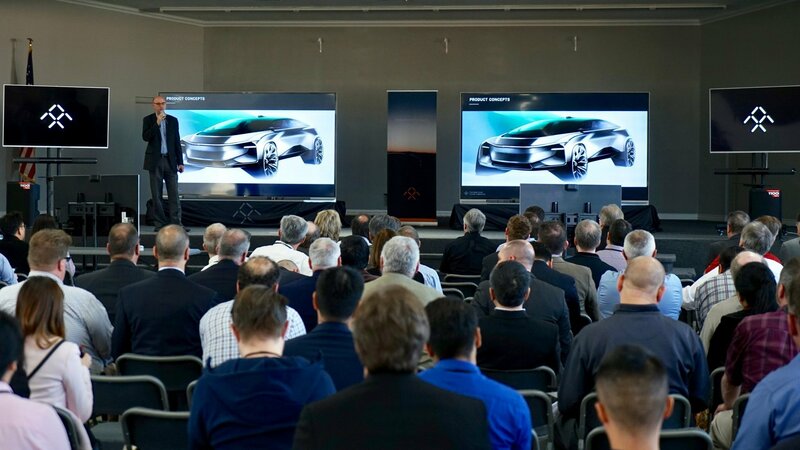 Despite being engulfed in one issue after another, Faraday Future is pushing on with its business endeavors. At the very least, the supplier meeting that reportedly included over 100 suppliers, including Bosch, LG Chem, and Ricardo, is a positive sign that the company is still working to achieve its goals, outside noise notwithstanding. According to reports, the meeting also included discussions about the production timetable of the FF91, as well as talks about the company’s global strategy and future production plans. If there’s one startup automaker that’s had the wildest roller coaster ride since its launch, it has to be Faraday Future. We’ve already documented the many ups and downs the company has been on in recent years, but it appears that it again has solid financial footing after receiving a series of investments in recent months, including a $1.5 billion investment from an investor based in Hong Kong. It remains to be seen if Faraday Future can get back on course with its production timetable. For now, the main concern is to kickstart production of the FF91, which the company is working on with the refurbishing of its facility in California. It’s great news if Faraday really is out of the rut it’s been in the last year or so. The automaker made headlines last year when it unveiled the FF91 at the 2017 Consumer Electronics Show. It’s been tough sledding since then, but with these new investments and new product plans, brighter days may be on the horizon for the company. Let’s all hope Faraday sees the sunrise before another thunderstorm develops. Read our full review on the 2018 Faraday Future FF 91. The 2016 Consumer Electronics Show in Las Vegas is the ideal place for the debut of an all-electric super car which is challenging the crown of all the big boys in the gasoline league. 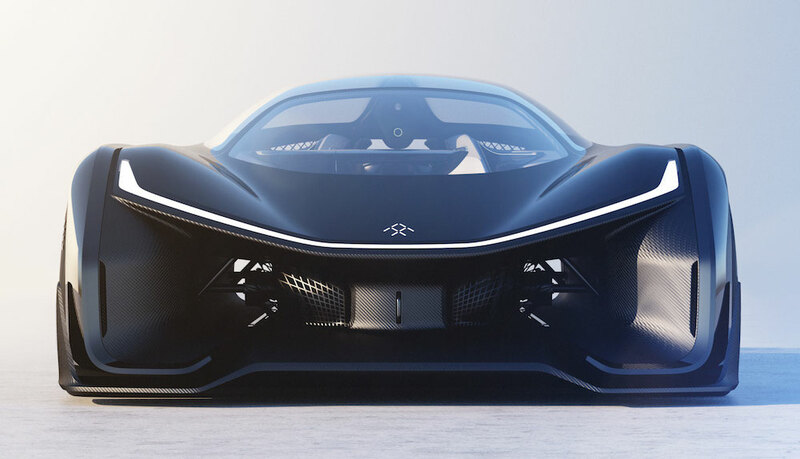 This is Faraday Future FFZERO1 concept, and it’s an electric race car claiming some seriously big numbers. Now, we have seen concepts like this, created by visionary but often overly ambitious startups, coming and going before without offering something of practical substance. But that doesn’t seem to be the case with Faraday Future FFZERO1. For starters, it is created by a team of eccentric looking pioneers which is always a good sing. What’s more, the idea is so crazy, it might just work. 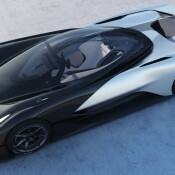 The powertrain in Faraday Future FFZERO1 is a quad-core electric system which means it has one electric motor per wheel with a total output of over 1,000 horsepower. That power has to carry a lightweight and extremely aerodynamic body made from carbon fiber and composites, shielding an interior that features stuff like smart-phone integrated steering wheel, augmented reality, and NASA-inspired zero-gravity driver’s seat for optimum comfort and reduced fatigue during a race. The car claims a 0-60 time of 3 seconds and a top speed of over 200 mph. Faraday Future is planning to build a mega factory in Las Vegas and then get busy producing electric vehicles based on the technologies used in the FFZERO1. 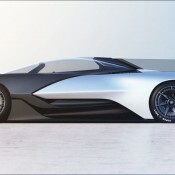 The post Faraday Future FFZERO1 Unveiled at CES appeared first on Motorward.